As you can see it is progressing nicely. 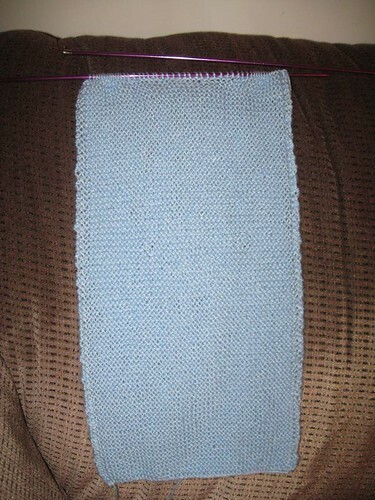 Tonight marked a week of working on it and I am now up to 20 inches. . . not too shabby! The best thing is from the most recent parts it has gotten more even as I am getting used to the tension I need on the needles and the yarn. 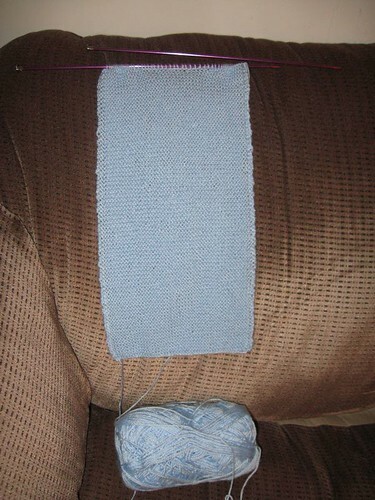 I have also figured out a way to knit that does not seem to bother my fingers and wrists too much (I have some arthritis from being hit by a car when I was younger). On that note I am off to work on a recommendation for a friend and then knit some more.